Could offering sustainable, responsible and impact (SRI) investment options in your retirement plan be an employee recruitment and retention tool? Quite possibly, according to recent research. A 2017 survey by Nuveen showed that 57% of respondents (94% of Millennials) would choose an employer based on whether it offered a fully diversified responsible investment portfolio, and 79% said being able to choose responsible investing options in their retirement plan would make them feel good about working for their employer. Wait and Tom Simunovic, regional sales consultant at Trillium Asset Management in Boston, Massachusetts, discussed growing interest in SRI during their presentation “Sustainable, Responsible and Impact Investing in Qualified Retirement Plans” at a meeting of the Milwaukee Chapter of the International Society of Certified Employee Benefit Specialists (ISCEBS). Responsible investing applies a negative screen to rule out companies based on their ESG risk. Sustainable investing selects investments based on sustainability factors and financial returns. Impact investing selects investments based on targeted themes and financial returns. Today $1 of every $5 of investments under professional management has some type of ESG overlay, and the market is growing at more than 20% per year, Simunovic said. ESG investments total about $24 trillion globally. Register Now: Certificate Series – Investment Basics | September 26-27, 2018 | Washington, D.C.
One of the concerns retirement plan fiduciaries have about SRI is whether they will sacrifice returns. Wait and Simunovic highlighted research that shows that $1,000 invested in 1990 with consideration of ESG factors would have generated an estimated $14,481 by March 31, 2018, compared with $13,226 for the same amount invested in an S&P 500 Index fund. An Interpretive Bulletin from the Department of Labor (DOL) in 2015 stated that ESG issues are “proper components of the fiduciary’s primary analysis of the economic merits of competing investment choices.” DOL issued further guidance in April on qualified default investment alternative (QDIA) funds, which stated that explicitly themed religious, SRI or impact funds should be distinguished from funds that incorporate ESG factors in the course of portfolio management. Wait and Simunovic offered the following steps for qualified retirement plans that want to implement SRI. Consider the investment merits of ESG integration. Understand active engagement and proxy voting guidelines. Pension funds have had positive influence encouraging companies to improve their policies to reduce ESG risks by engaging with management, introducing shareholder resolutions and voting proxies. Consider organizational culture and messaging. 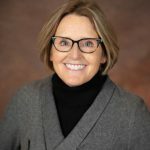 Many companies already have a culture promoting financial wellness, environmental sustainability and community involvement. Promoting the inclusion of SRI investments can enhance this message to employees. Consider the organizational culture and messaging. Consider the business case for attracting and retaining employees. Communicate SRI funds as a separate investment track. Individuals who want to get involved in SRI can set up their own investment accounts through several online SRI investment platforms that are available online. 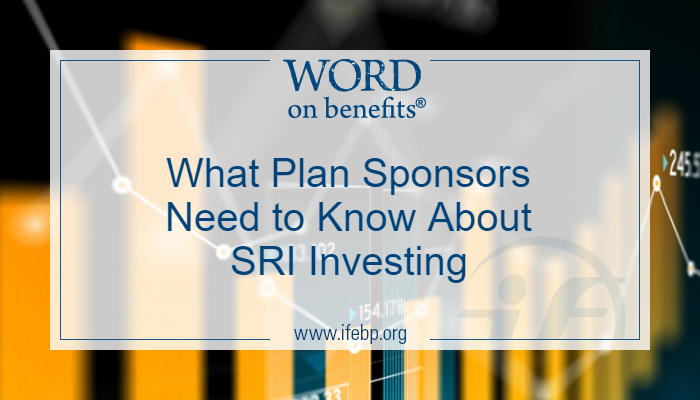 If their employer or plan sponsor offers a defined contribution account, they can ask their plan administrator to add an SRI investment option.